Thank you for making the 2017 National Alliance of Certified Legal Nurse Consultants Conference Cruise such a success. I loved hearing how much you learned from the CLNC® speakers and watching you network with your new CLNC friends. I had such an awesome time with all of you. To relive the memories, check out these fun photos. Enjoy the photo gallery and again, thanks for a spectacular time together. P.S. 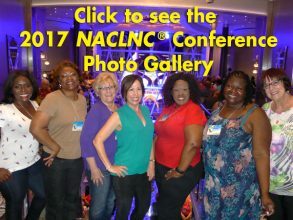 Comment and share what you learned at the 2017 NACLNC Conference.